On February 23rd, Ms. Coniglio’s Grade 5 class welcomed the Scientists in the School. The students explored the Human Body and its functions. The workshop allowed the students to test their reaction rate and measure their lung vital capacity. The students utilized stethoscopes to measure heart rate, build a filtering urinary system and working lungs, identify bones using X-rays and locate and manipulate joints on a skeleton. 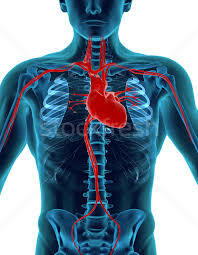 They also explored how healthy blood connects all your organ systems together. The workshop was engaging, enjoyable, and extremely educational. We thank the CSC for supporting this program through our school community’s fund raising efforts.